My two sisters-in-law have been in town the past few days, and one of them needs to get an energy audit for the home she and her husband recently bought in Seattle. I gave her a recommendation for a company to do the audit (from a couple of friends who used to live there), and now she's asking the very reasonable question, "What should I be looking for? What should they do when they come to the house?" Even though she's a very technically-minded person (she works on nuclear non-proliferation and carbon sequestration issues), like most people, she doesn't know what she should expect when it comes to an assessment of her home's energy efficiency. A good home energy audit these days will cost from a few hundred dollars to over $1000, depending on the size and complexity of the house, so homeowners of course want to know what they're going to get for that investment. Well, let's dive in and take a look. Although it may be hard to find someone with one of these certifications in every part of the country, you should look for a home energy auditor who's certified as either a BPI (the Building Performance Institute) Building Analyst or a RESNET certified HERS Rater. Last year I wrote an article about these being the main certifications to look for, and it's still the case. The first thing to know is that there are different levels of assessment. For simplicity, I'll focus mainly on the comprehensive energy audit, but a seasoned home energy auditor can tell a lot just by walking through the house. The key is that it's got to be someone who's already done plenty of comprehensive audits and knows what to look for. The motto of BPI is, "First, do no harm…to life, limb or property." If your house has any combustion appliances in it, assessing their safety and suitability should be the first thing the energy auditor does after the initial walkthrough. Often, a home energy auditor is the only person who looks at your house as a system and can tell you if there might be problems such as backdrafting that could put carbon monoxide in your home. A good combustion safety test will include checking for spillage of natural draft combustion appliances, the content of the exhaust gases in furnaces and water heaters, and worst case depressurization of the combustion appliance zone (CAZ). When insulation is installed without an air barrier, it won't do its job. Most types of insulation do not stop air leakage, so one thing the energy auditor will do is look for proper alignment of insulation and air barrier throughout the house. The energy auditor will also look for proper levels of insulation (wherever visible) and check for the existence of insulation behind walls. They'll check the integrity of the air barrier in two ways: a visual inspection and a Blower Door test. The former tells where the big air leaks are, and the latter quantifies the total amount of air leakage in the house. The auditor can use the Blower Door as a diagnostic tool to locate air leaks, too. Most homes use more energy for heating and cooling than for anything else, so assessing how well the heating and cooling systems are doing is vital. One thing that a home energy auditor will do that your HVAC contractor may not, though, is look at the quality of the distribution system. It's one thing to heat or cool the air with high efficiency equipment, but if you put that high SEER air conditioner or high efficiency furnace on a crappy duct system, the money spent on the equipment is wasted. The energy auditor should look at both the equipment and the distribution system. If it's a forced air distribution system, they probably will also measure the amount of duct leakage in each system, especially is the ducts are outside the building envelope. Unless the auditor is also an HVAC technician, they probably won't give you a full assessment of the equipment, but they can tell you, based on the age of the equipment, how soon you might need to replace it. In other words, it's water. Energy auditors often look for moisture problems in your home and will help find the source so you can eliminate the problem. Most of the moisture problems originate from drainage issues on the outside of the house and should be solved on the outside (e.g., by fixing gutters that dump water at the foundation). Vented crawl spaces are a category unto themselves, and the good news is that we know how to fix them now. Once the home energy auditor has finished with the onsite assessment of the house, which generally takes three to six hours, they'll write up a report for the homeowners. Some companies have their templates set up and portable printers in their trucks and can deliver the report before they ever leave your house. Most, I believe, will do the report back at their office and then schedule an appointment to deliver it. The report should cover all the items above (if applicable). It should give the results of the inspections and testing and put them in perspective by comparing what the auditor found in your house to what's required by code (in the case of insulation mainly). In the case of infiltration and duct leakage, the comparison is usually to a scale showing what's good and what's bad. With the former, they may also tell you what size hole you have in your house. Finally, with a good home energy audit report, you should get a scope of work that prioritizes the improvements you could make based on their cost effectiveness. Air sealing and duct sealing are usually at the top of the list of energy improvements, though combustion safety issues trump energy efficiency. The report may also list any rebates and tax incentives that you can qualify for by improving the energy efficiency of your home. These vary by location, and not every home energy auditor can qualify you for every rebate. For example, Georgia Power has a generous rebate program, but you have to use one of the approved assessment contractors to qualify for them. To find out what's available in your area, you can check the DSIRE or Tax Incentive Assistance Project websites. Some companies include thermal imaging with all or most of their audits, and some don't. It gives a good auditor another way to look at a house and find some things that they might otherwise miss. It requires adequate training to get meaningful results and can be abused, but it's another tool that can really help. Some energy audit companies will check the flow rates of your faucets, toilets, and shower heads and make recommendations for improvement. Some check your lights and appliances and can even measure energy use of items like refrigerators with devices like the Kill-A-Watt or the WattsUp. I wrote about the dangers of underperforming dryer vents a while back and gave some recommendations for improvement there. Some energy auditors will check that as well. When I was doing energy audits (or home performance assessments, as I called them), I included an analysis of the homeowners' energy bills. If they could give me 12 months of their bills, I could plug it into a spreadsheet I'd put together and calculate their energy intensity, the energy use per square foot of conditioned floor area per year. If your intention is to use a home energy audit as a guide to improving your home, then hiring an auditor who can help you with financing options could be a big plus, too. Perhaps the best one available, in my opinion, is the Energy Efficient Mortgage, which you can use either for a purchase or a refinance. So there you have it. You can use the above information as a guide to choosing a home energy auditor and making sure you get the most bang for your buck. As with any other contractors you bring into your home, you should also ask for references and check them. I'm sure the comments below will have even more good advice. Two things to be wary of are the 'free energy audit' (usually offered by companies who just want to get into your house to sell you their product or service) and the yahoo who bought an infrared camera and thinks it can find everything. Use the guidelines above to choose a home energy auditor, and you'll get a much better audit. If you're in the Southeast, check our list of certified home energy raters to see if there's one in your area. Many of them have both the HERS Rater and BPI Building Analyst certifications. Excellent article! I'm using a block-load Manual J heat load calculation now on every house before I even dream of making recommended improvements. I can confidently predict performance and let my client know what to expect when they choose to do something less. Sam: Thanks. You make a great point, and for those who don't know what Manual J is, it's basically a way to to see where the heating and cooling load is coming from. It's a kind of energy modeling, and that's also what you get with a home energy rating. Jason: Yes, you have to beware of the free energy audit, for just the reasons you stated. And yes, your little snippet of dialogue could apply to just about any house I go into. I missed the part about an IR survey. No other analysis can come close to the insight yielded from a good camera. It really is an eye opener during the blower door test. George: Thanks for pointing out that I omitted thermal imaging. I've gone back and added it to the Extras section. And yes, when used in combination with a Blower Door, it's a really good tool to find thermal bypasses. I recommend that anyone considering having ANYONE come into their home to do work get a list of at least 10 of the contractor's recent customers, and call 3 of them to get their experiences prior to choosing. Our company provides energy audits in Las Vegas, NV. Here in the desert, moisture infiltration is not a common problem. Inadequate insulation is an issue we encounter in almost every home we audit that is over 5 years old. 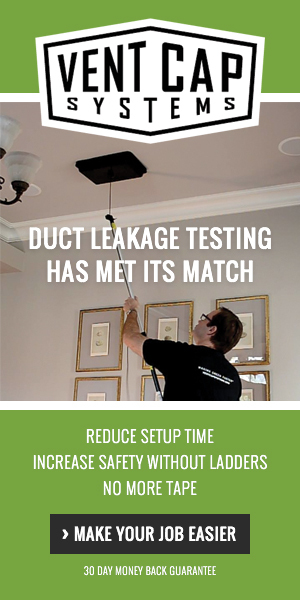 Next most common is ducts work that has not been properly sealed. With ambient summer air temps well over 100 degrees, these two issues can cost a homeowner over $1,000 a year if left uncorrected. Stan: Yes, getting and checking references is always a good idea. Jeff: Glad you liked it. VERY helpful. I will call the company on Monday with my list in hand to see what they plan to provide. Is it too much to ask to have them give me a sample report so that I get some sense of "the product"? Gretchen: No, that's not too much to ask. It should be easy for them to take a previous report and delete any info that identifies the client it was done for, and it would give you a better sense of what you'll get for your money. This is a great list, Allison. I would add evaluating exhaust fans and their ductwork, particularly for humid climates. Also a good addition to providing recommended prioritzed improvements would be to provide some recommended packages of improvements (good/better/best) with ballpark price ranges to better help the customer manage expectations. Good overview article. In WA, one resource for finding a home energy professional is the Home Performance Washington - it's a membership organization, could be a great starting point for Washington residents looking to find a contact. Great article! Thank you! VERY helpful! I bought a home in Seattle area 4 yrs. ago and REALLY (still) need an energy audit done. Have a TERRIBLE time in the summer cooling down the interior and I am SURE there are ceiling-to-attic leaks and likely improper or insufficient attic ventilation causing this. Can you share what energy auditor your sister-in-law used (if any) and how she would rate the experience? I will also look at the Home Performance WA site shared. For what it's worth, I *did* have an "energy auditor" come out about 3 yrs. ago (a free service through my utilities company), but his findings were 'less than stellar' and I was NOT impressed. Sad that he gets a kick-back from the utilities company and IMO didn't deserve it. Any inspectors/auditors in the Western WA area you can recommend would be GREATLY appreciated!